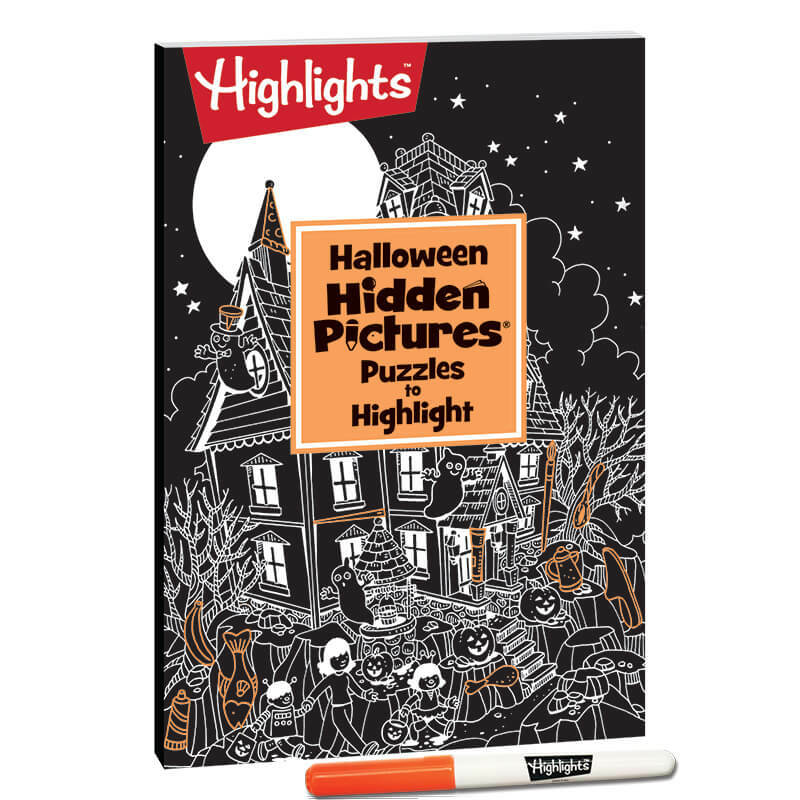 Solve the coolest Hidden Pictures puzzles ever, using a neon highlighter on black paper! 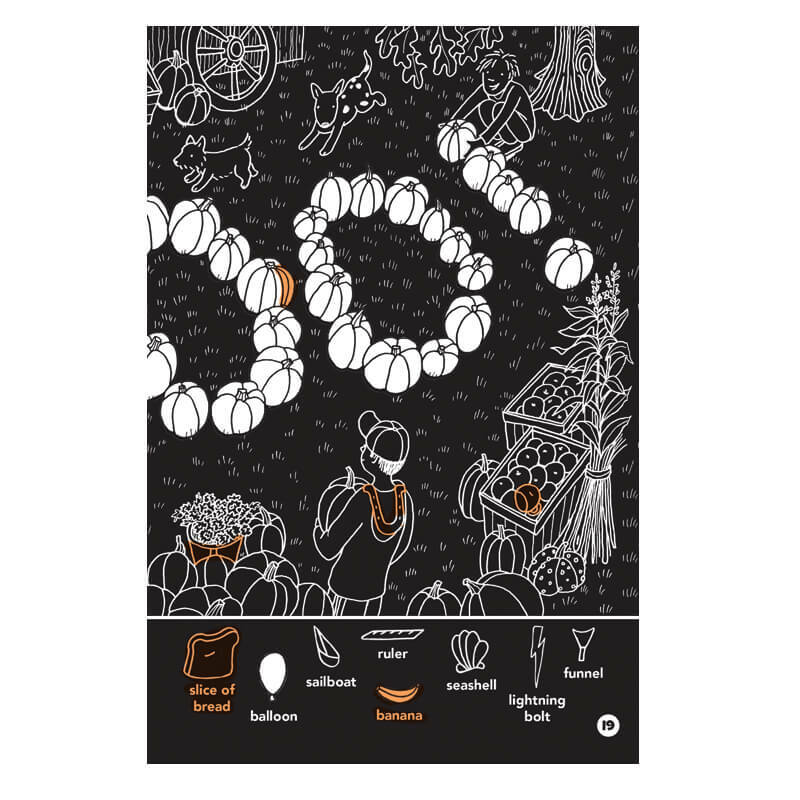 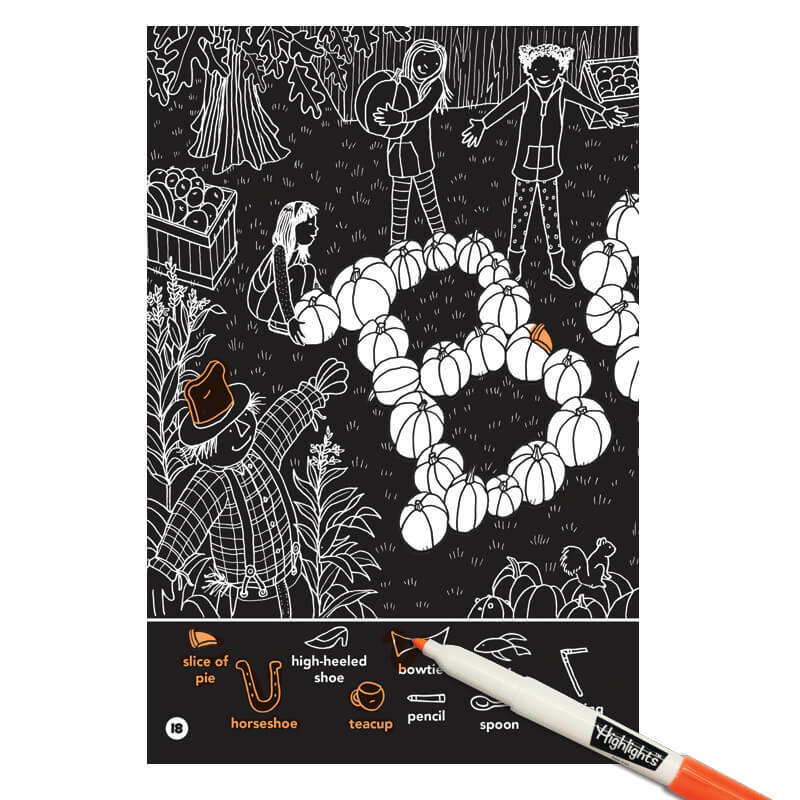 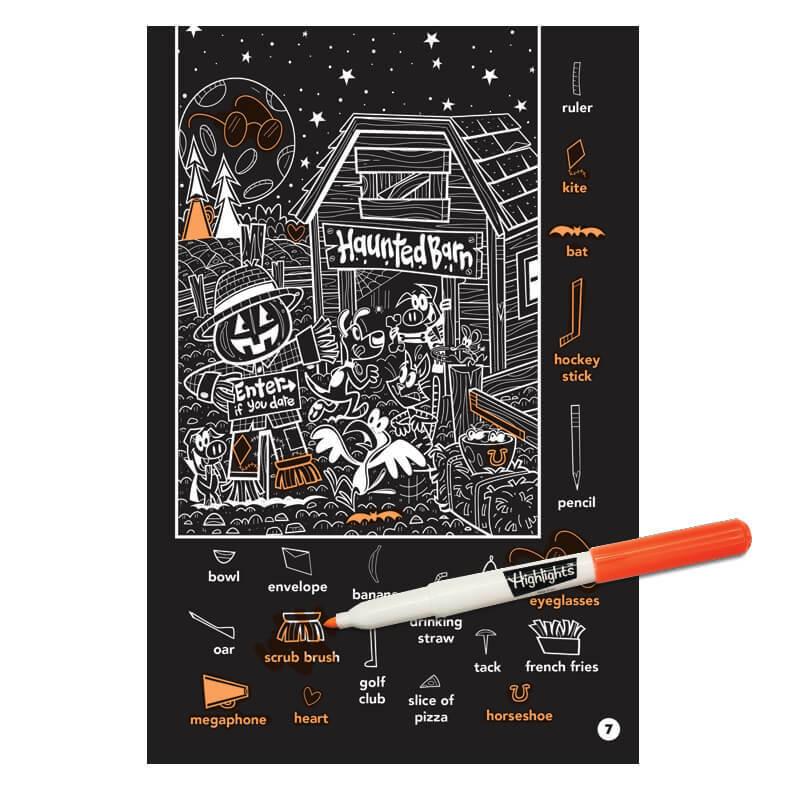 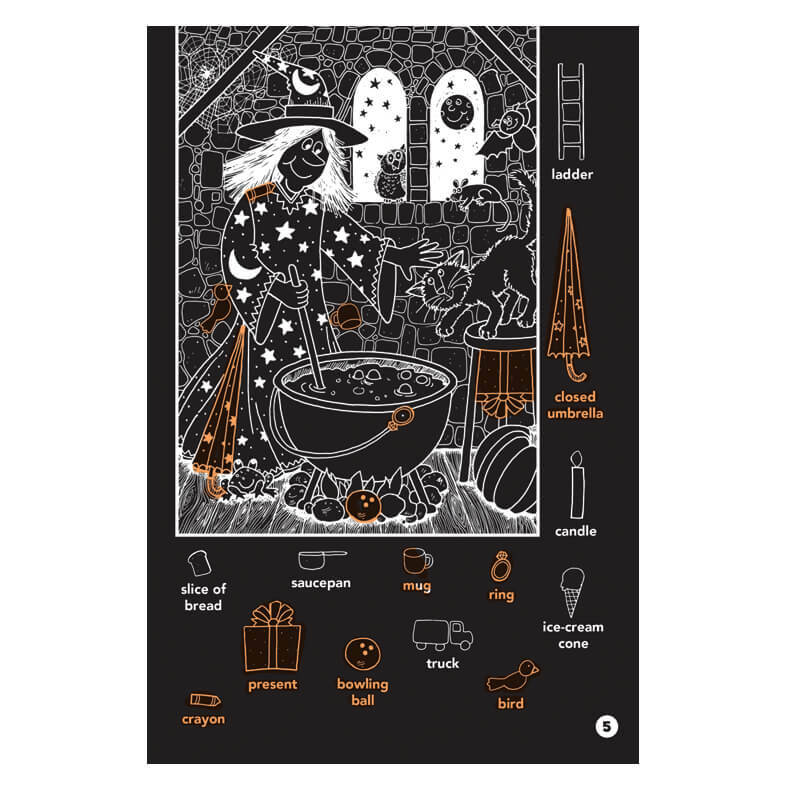 Reverse-image Halloween scenes will glow with spooky fun when kids find all the hidden objects in this unique seek-and-find activity book. 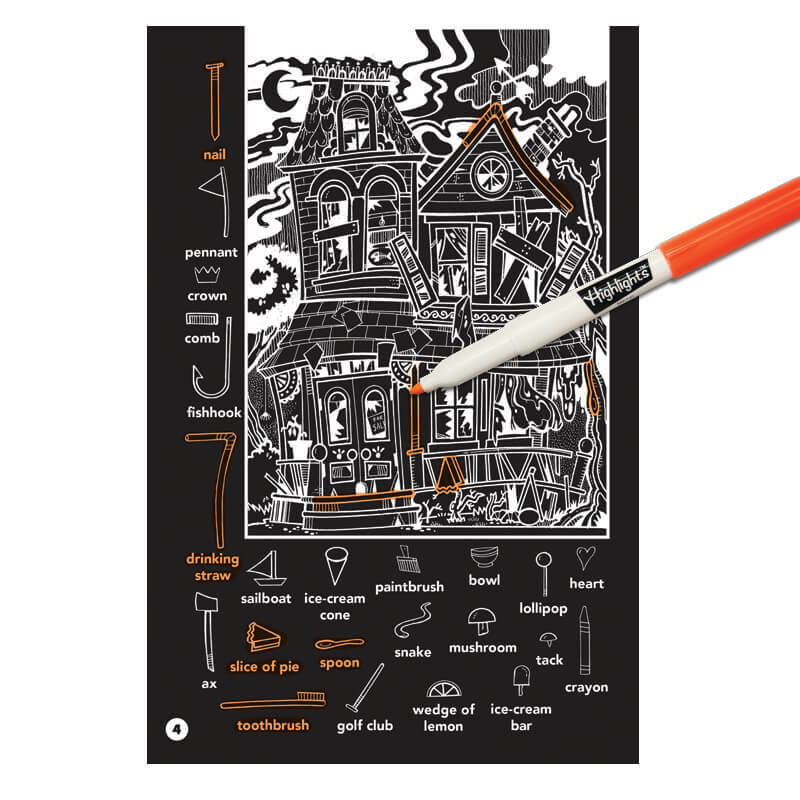 Answers are included in the back. 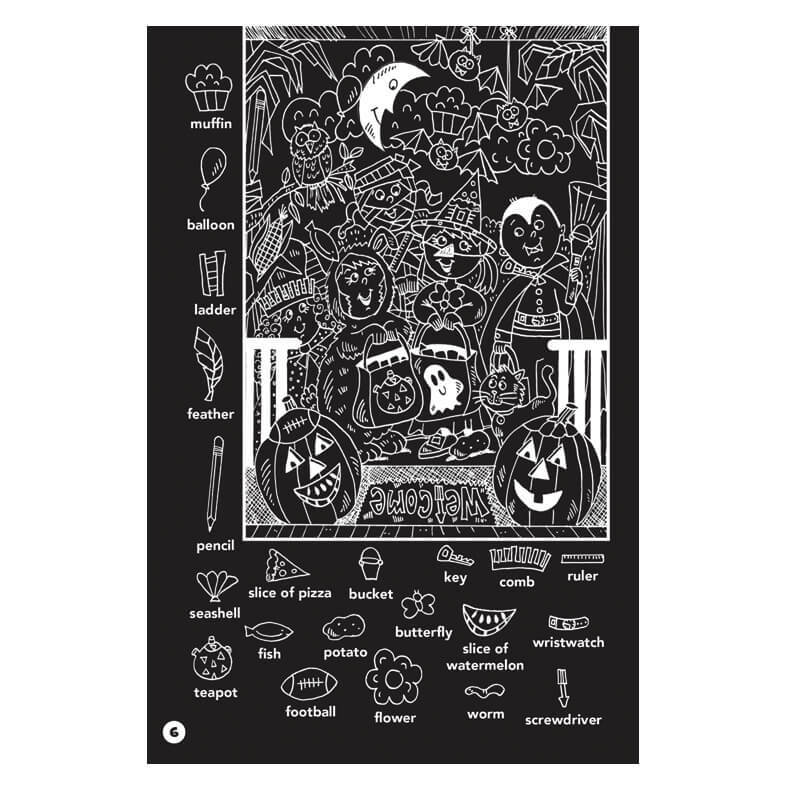 Product Dimensions: 5" x 7 1/2"